Regular baths help keep your feathered friend healthy. The hygiene-conscious parakeet and pet owner have several bath time options available. You'll choose your bathing method based on your parakeet's reaction to water -- some love it right off the bat, some are afraid and require additional steps to get used to the idea before getting a proper bath. Spritz your parakeet gently with lukewarm water from the spray bottle. If she enjoys this, she will hold her wings away from her body and ruffle her feathers. She may also make a budgie play face at you by gaping her beak and trying to drink the water. All of these maneuvers are invitations to spray her some more. If all goes well with the spray bottle, you can settle on this as your preferred bath method, or jump to step 3, the shower method. If your budgie does not enjoy the spray bottle, move on to step 2, which will allow her to warm to the idea of baths at her own pace. Place a shallow dish of water in your feathered friend's quarters. Place favorite parakeet treats near it and on the rim of the dish. The intention is that your 'keet will discover a love of water along with the tempting treats. Once your parakeet is regularly giving herself baths, you can try to reintroduce the spray bottle method, or simply trust her to keep taking charge of her personal hygiene without further interference. Bring your parakeet into the bathtub or shower with you. Spray her gently with the handheld shower nozzle and lukewarm or mildly warm water. This option is for parakeets that love water and absolutely adore the spray bottle. It adds extra excitement for your pet and turns bath time into a social event with her favorite person -- you! If a love of water does not seem to come naturally to your particular parakeet, there is no reason to press the issue and you may never get around to this step. As long as regular baths are accomplished in some manner, this is perfectly okay. A bath every two or three days will help your parakeet stay in top form. Most birds enjoy spray baths. If yours is particularly hydrophobic, extra treats and patience may be required to get one bathed. An unbathed bird collects dust and debris, which can break down immunity and present an open invitation for mites and other parasites. 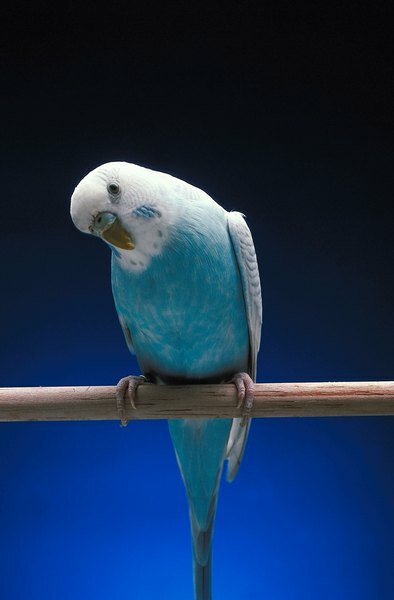 Keep a damp budgie warm, and administer the bath well before bedtime so she does not catch a chill overnight. Be very careful not to overheat or chill your bird. Avoid a dunk in standing water deeper than your bird's ankles: Your pet should love a shower but can easily drown in a slippery full bath. Please, use no shampoos or soaps; your birdy enjoys her baths au naturel. Soaps can strip the natural oils from her feathers, and fragrances can damage her delicate respiratory tract. Budgie and Parakeet Place: How Do I Get My Budgie to Take a Bath? Do Parakeets Like to Take Baths?